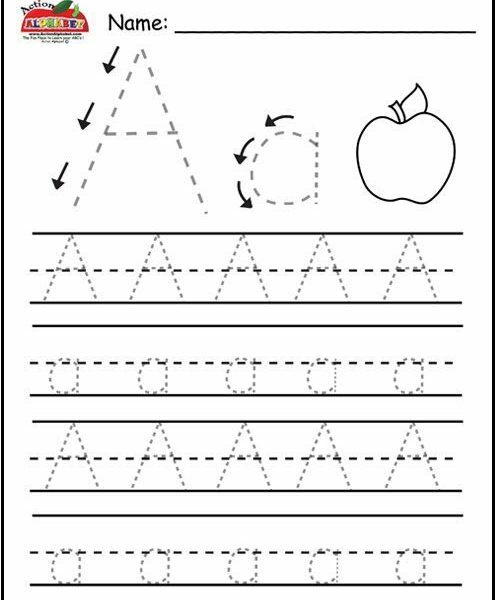 When toddlers first learn new letters, it is important to make them practice frequently. 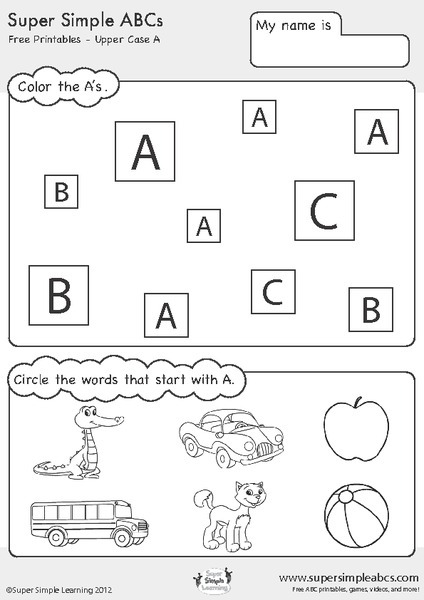 But that should be done in an interesting way to keep them entertained at the same time. 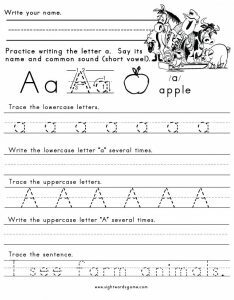 It could be about learning to utter or write, if you use some worksheets then the entire thing becomes fun. 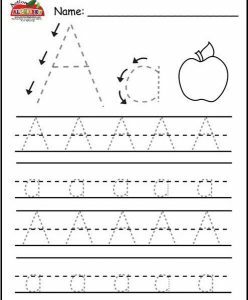 When it comes to showing your kid how to write properly, make sure you use these following printables. 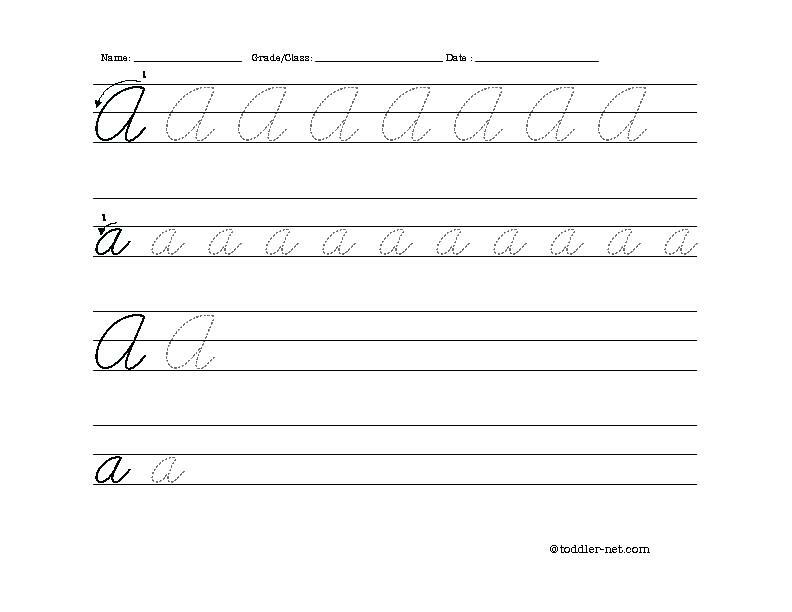 All of them stresses on the proper writing of the letter through the tracing technique. 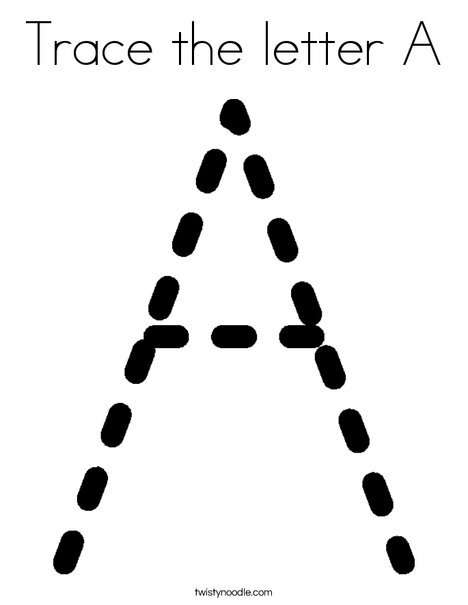 Some showcases both capital and small letter versions of ‘A’, while some have a cursive font. 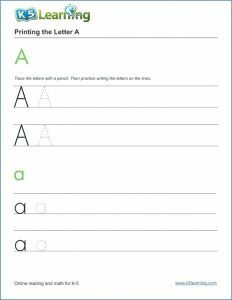 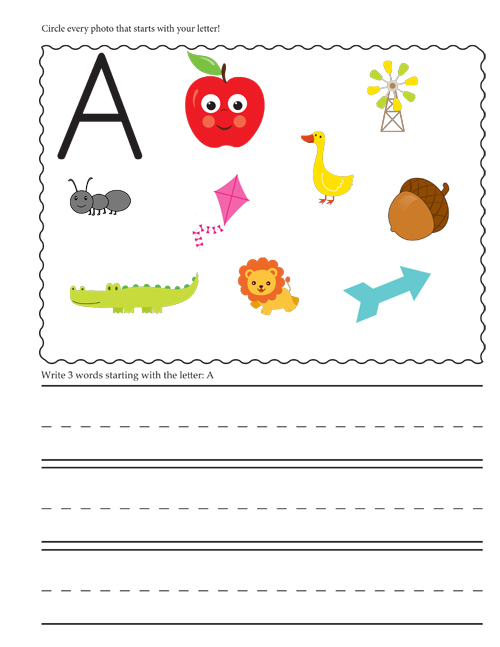 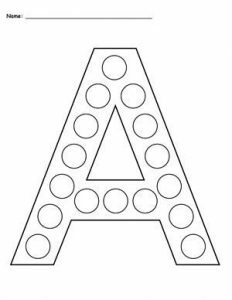 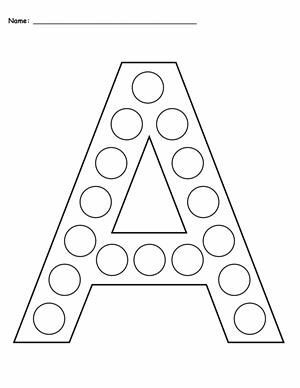 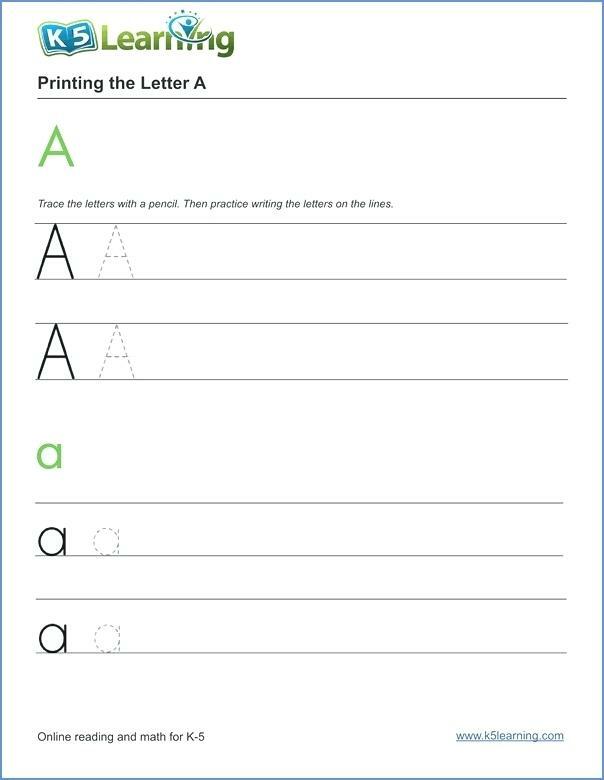 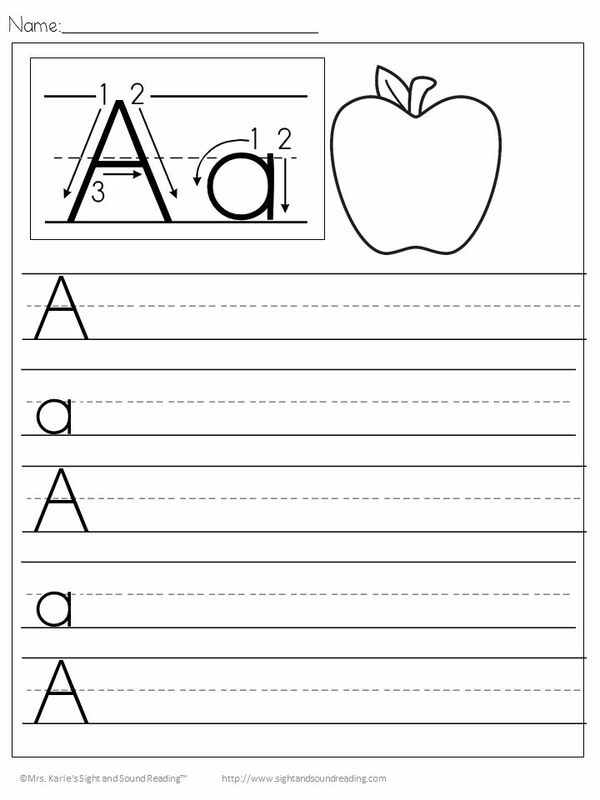 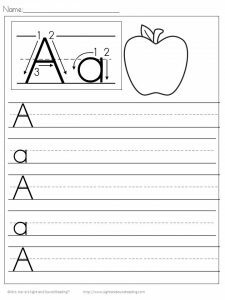 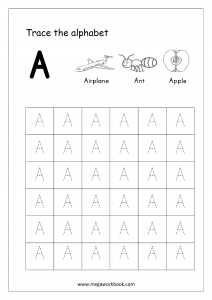 Even dotting the letter makes the task so exciting for kids that they won’t let you stop printing these worksheets. 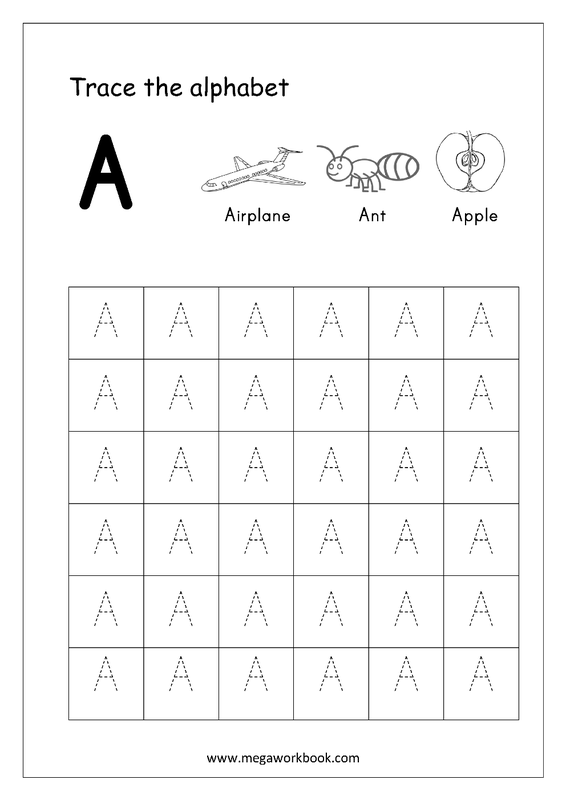 Give some to your kid’s friends and let them taste the fun of learning things together. 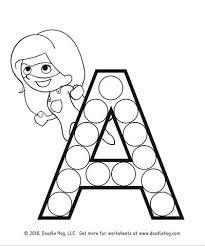 If possible, just do one yourself and you are sure to get some unadulterated joy. 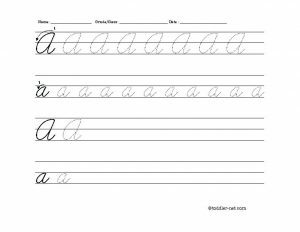 If your child is in preschool or kindergarten, its time to introduce the little angel with some words featuring ‘A’ in the beginning. 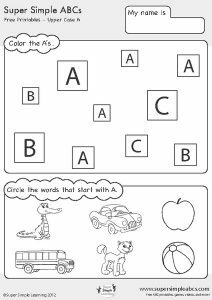 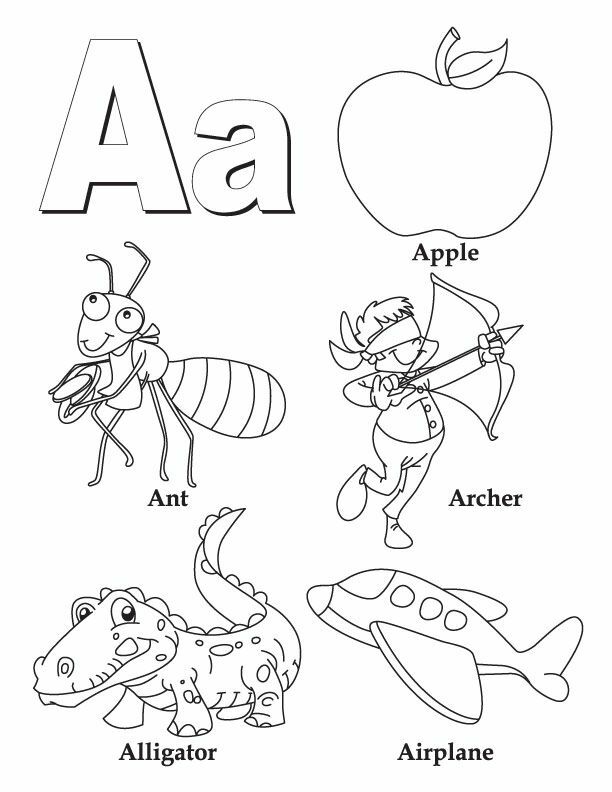 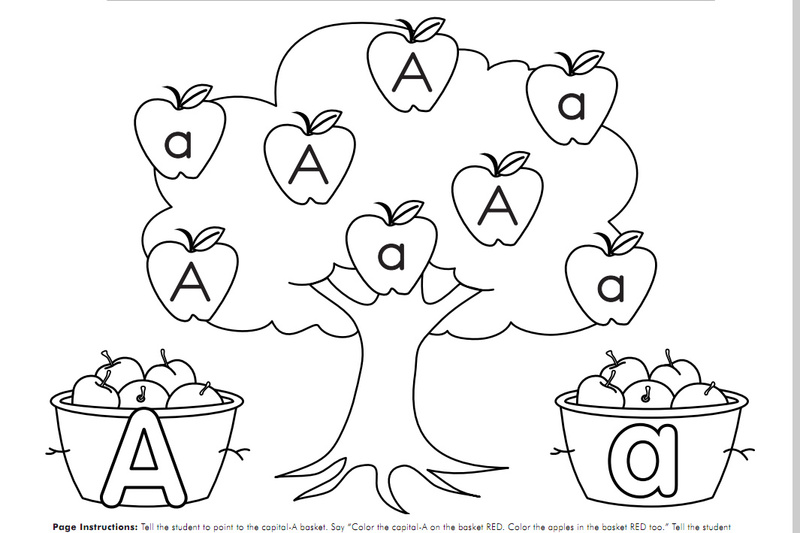 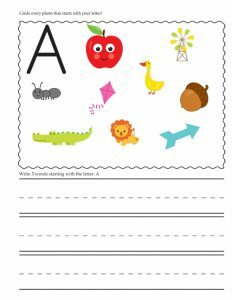 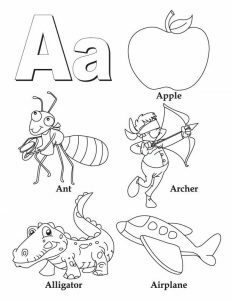 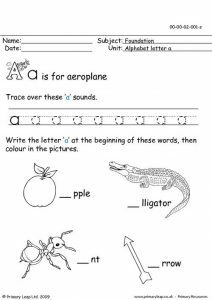 These worksheets have images corresponding to the words so the children can relate to the pictures with the word using mind and body coordination method. 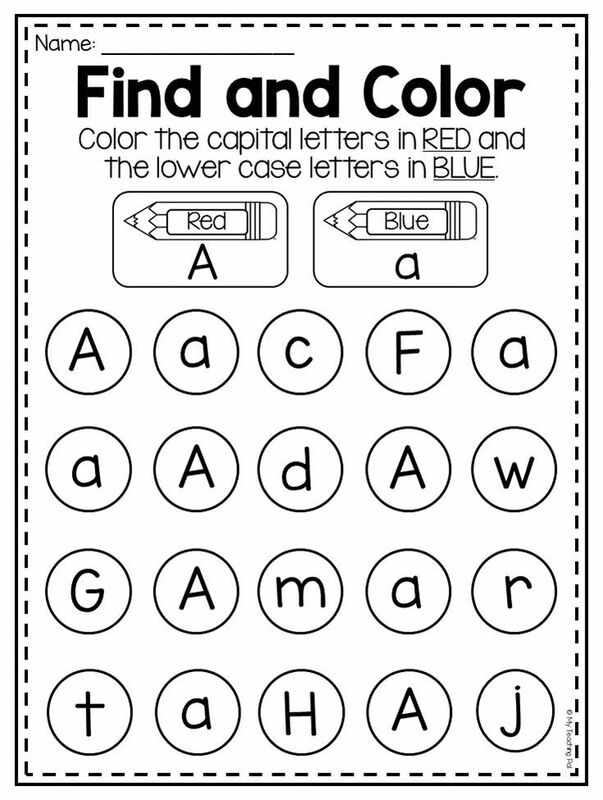 Using colors is one of the effective ways to keep children hooked to the practice of recalling alphabets. 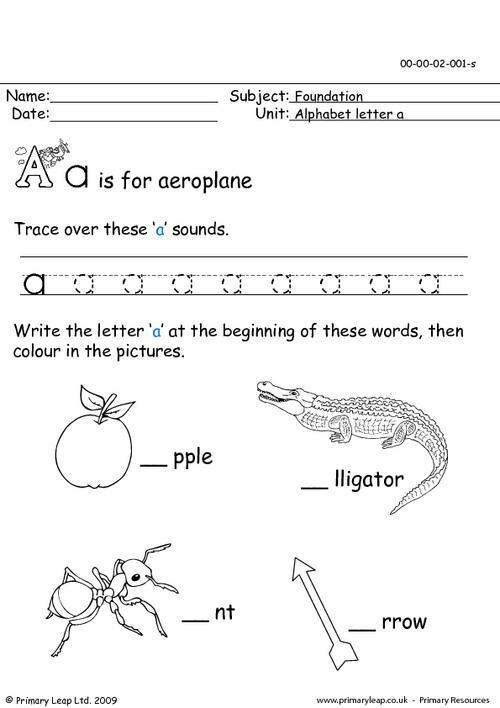 Give them such printouts and tell them to color the parts having ‘A’ or ‘a’ written on them. 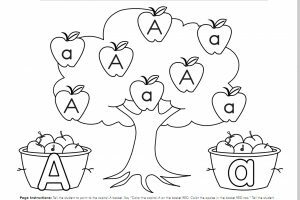 These printables are an indispensable part of the progressive education system which doesn’t scare children off, rather provides a friendly approach. 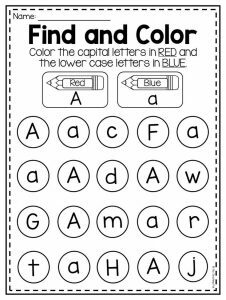 If you have a daycare center, you may also print any one or multiple from the list according to the need of the children and give them to solve. 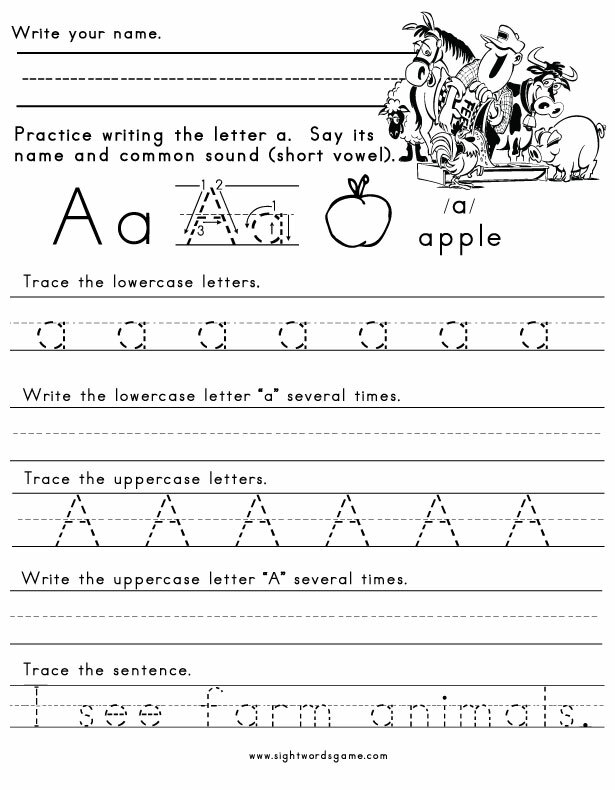 From 2-5 years of age, all kids are eligible to polish the letter recognizable skill.